Love making little surprises for our valued customers! All flowers now fully stocked! 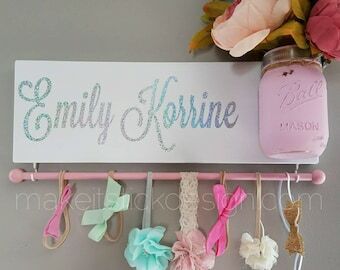 Including light pink :) Get yours before they sell out again! 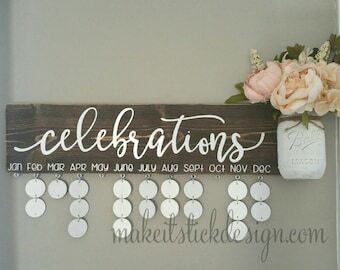 Looking for something extra on your celebration board? Ask about adding names or Family for a special custom touch. 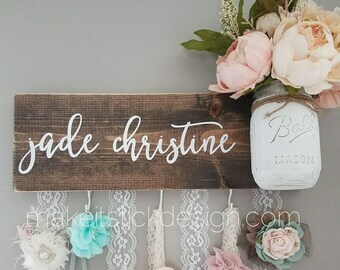 When using just the first name turns out cute too! You can get yours here. 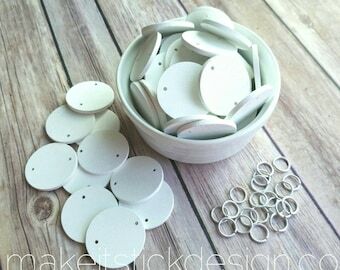 Now Available on our Etsy page! Another round of orders hitting the mail trucks tomorrow. This is all remaining bow/headband holders and board kits. 31 mason jars painted, sanded and ready for bubble wrap!! Preparing our next big round of orders. This is a portion of all due out by Dec 5th. If you havent received your shipping notice yet, you will soon! Most of you got your shipping emails today and here they are!! When there is a sale on mason jars you buy them all. Time to start stocking for holiday orders! Loving our fun new stamp to brand the backs of all our boards. 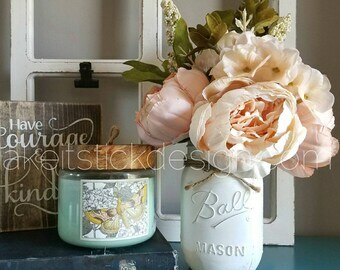 Today is a painting and sanding mason jar day. Getting ready for another batch of bow boards and our new celebration boards. Making a little something for myself while hubby watches football. We always say I love you before leaving or going to bed so i felt this quote was perfect. Starting to love a brown stained wood over a grey stained. Getting another batch of bow boards ready to go!